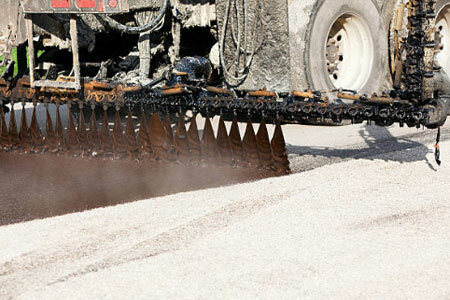 While the professionals at Mr. Pavement offer a variety of asphalt paving services, we also offer an important maintenance service – asphalt sealcoating. Asphalt sealcoating is not only a great way to refresh the look of your asphalt, but it’s also necessary to protect it and prolong its lifespan. During the winter, asphalt is subjected to a constant a freeze-thaw process – water seeps into the pores, expands when it freezes overnight, then thaws during the day. This happens over and over again and can cause the asphalt to crack. 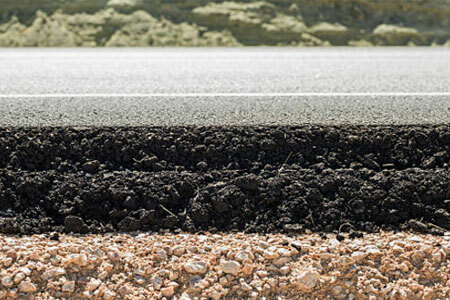 If these cracks aren’t taken care of, they can easily get bigger and compromise the integrity of your asphalt. That’s why it’s important to apply a protective sealcoating on a regular basis. If your driveway is made from asphalt, we recommend sealcoating it once every 2-4 years. Over time, the weight of your vehicles can cause wear and tear to your driveway including small cracks and dents. This in addition to natural elements and freeze-thaw cycles can age your asphalt, which is why you need to sealcoat it on a regular basis. In addition, a good asphalt sealcoating can help you maintain your home’s curb appeal. Our sealcoating adds a rich, black color to your driveway to make it look brand new again. Whether your parking lot is large or small, it likely sees a lot of daily traffic. Just like asphalt driveways, things like vehicle traffic, natural elements, and freeze-thaw cycles can wear down your parking lot and cause cracks or dents. To protect your asphalt and to keep your parking lot looking great for your customers, we recommend an asphalt sealcoating every few years from our professionals. Give your asphalt a beautiful look and a longer lifespan with a professional sealcoating from the experts at Mr. Pavement. Call us today to schedule an appointment.